How do I buy a Property Management Inc Franchise? Property Management Inc. is one of the fastest growing franchises in the country and is the #1 property management franchise company. To start a property management company, candidates are asked to have $75,000 liquid capital and be ready to invest a total of $21,250-$106,800. In return you'll receive a proven, turn-key business system, ongoing franchise program support and full property management training with a recipe for success. Regardless of real estate market conditions, people consistently need places to live and do business, making property management a consistent demand. With a Property Management franchise, you get a quick start to success in the competitive residential and commercial real estate market. 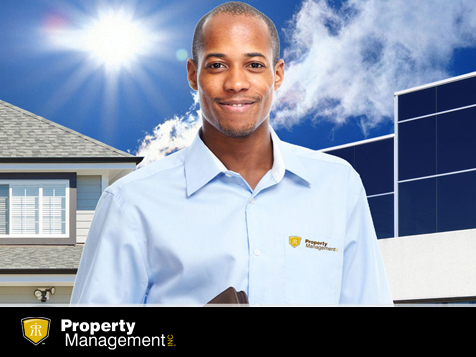 There are tons of reasons to choose a franchise with Property Management Inc. (PMI). Contact us today to get started owning your own, successful property management franchise with PMI. Open Property Management Inc in any of these available states: AK, AL, AR, AZ, CA, CO, CT, DC, DE, FL, GA, IA, ID, IL, IN, KS, KY, LA, MA, MD, ME, MI, MN, MO, MS, MT, NC, ND, NE, NH, NJ, NM, NV, NY, OH, OK, OR, PA, RI, SC, SD, TN, TX, UT, VA, VT, WA, WI, WV, WY. Want your piece of the $69 billion property management industry*? downs of the real estate industry: Property Management Inc. Regardless of real estate market conditions, people consistently need places to live and do business, making property management a consistent demand. With a Property Management Inc. (PMI) franchise, you get a quick start to success in the competitive residential and commercial real estate market. There are tons of reasons to choose a franchise with Property Management Inc.
Reason #1: Property Management Inc. was founded by property managers, so we know first-hand what it takes to own and run a residential and commercial property management franchise successfully. Reason #2: Property Management Inc. is an international brand, and being part of that brand recognition gives you a competitive advantage and helps jump start your business from day one. Reason #3: Being part of Property Management Inc. reduces the intimidation of being a new business owner, because you receive proven tools, systems, training and support to be a successful business owner in any market--even if you have NO experience in real estate. 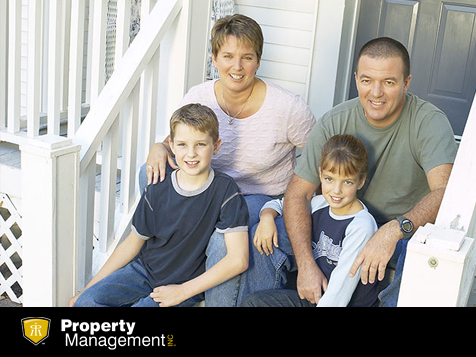 Reason #4: Being part of the Property Management Inc. family means you're never a small fish in a big pond. You are your own boss, but we offer ongoing training and tools to keep you supported and successful. Reason #5: Property Management Inc. is not only an internationally recognized brand, it's also a celebrated company! We've been named one of the Top New Franchises by Entrepreneur Magazine, one of the 100 fastest growing franchise companies by Franchise Gator and as one of the Top 50 franchise companies for minorities by USA Today! As a franchisee, you'll be part of a notably accomplished company! Acquiring a Property Management Inc. franchise means you've acquired a comprehensive property management system that gives you a competitive advantage over other companies out there. Our proprietary system works! It's been developed over two decades by gathering best practices from nearly 100 Property Management Inc. franchisees. 40+ revenue streams to grow your business. Putting you in control of your future is our #1 goal! Contact us today to get started owning your own, successful property management franchise with Property Management Inc.
*According to IBIS International and Statista. Property Management Inc is not currently active in our directory, but here are some other recommended selections for you to explore.